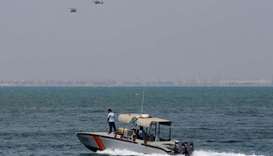 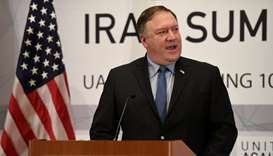 US Secretary of State Mike Pompeo on Wednesday called for an end to a long-running row between a Saudi-led bloc of countries and neighbouring Qatar. 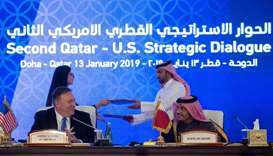 US Secretary of State Mike Pompeo arrived in Doha Sunday to lead his country's delegation to the second round of Qatari-US Strategic Dialogue, to be held later in the day. 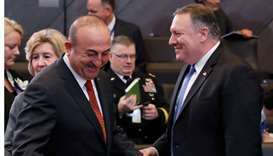 Washington's top diplomat said Saturday he was "optimistic" a way could be found to protect Syrian Kurds while allowing Turks to "defend their country from terrorists" following a US pullout from Syria. 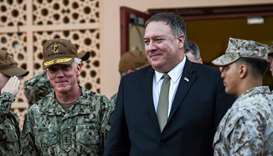 US Secretary of State Mike Pompeo arrived Tuesday in Jordan on a Middle East tour to show commitment to the region after President Donald Trump's surprise decision to withdraw troops from war-torn Syria. 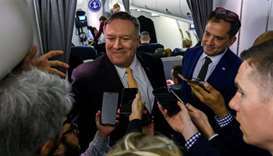 The US does not believe the official Saudi version of the murder of the Washington Post columnist and dissident Jamal Khashoggi is credible, a senior administration official has said. 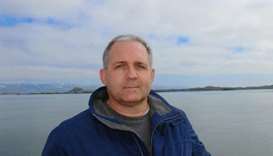 The United States is demanding the immediate return of a retired US Marine detained by Russia on spying charges, and wants an explanation of why he was arrested, US Secretary of State Mike Pompeo said on Wednesday. 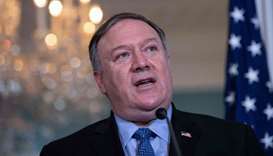 US Secretary of State Mike Pompeo defended the Trump administration's handling of the killing of Saudi journalist Jamal Khashoggi on Wednesday, stressing Saudi Arabia's importance as a US ally against Iran. 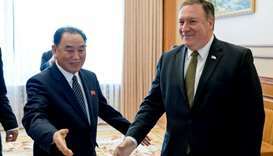 A meeting between US Secretary of State Mike Pompeo and North Korean officials set for Thursday in New York has been postponed and will be rescheduled "when our respective schedules permit," the US State Department said on Wednesday. 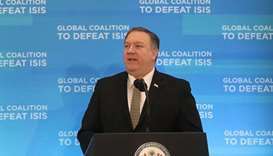 US Secretary of State Mike Pompeo has said it may take "a handful more weeks" before Washington has enough evidence to impose sanctions on individuals responsible for the killing of Saudi journalist Jamal Khashoggi. 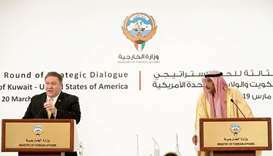 The surprise US call for a ceasefire in Yemen marks a growing sense that Saudi Arabia's campaign has proven disastrous, but experts say more action is needed to end the devastating war. 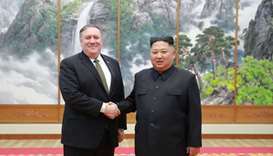 International inspectors will be allowed into North Korea's dismantled nuclear testing site, US Secretary of State Mike Pompeo said Monday, after a meeting with Kim Jong Un in which he said "significant progress" was made towards denuclearisation.